Fly FM is a Malaysia’s Hottest Music ! It’s broadcasting from Malaysia. 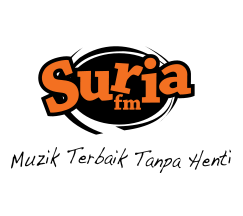 Fly FM is a private radio station in Malaysia owned by Media Prima Berhad. Fly FM (Malaysia’s Hottest Music) is one of the most popular radio station located at Klang Valey, Malaysia. It was launched on October 3, 2005 and targets listeners aged between fifteen and thirty years old. Fly FM is the second most popular English radio station in Malaysia, besides being the fastest growing radio station in the country. The music on Fly FM is aired in both English and Malay. This station used to broadcast live from KLIA and is the first radio station in the world to be situated in an airport.